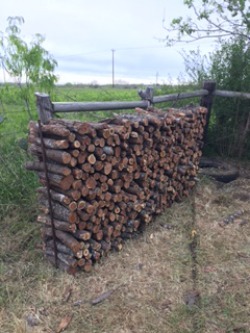 Hi there, my name is Josh and I recently began supplying bbq firewood here locally. Some of my orders are from out of town as well, which I have no problem taking. I offer delivery with every purchase made. The distance will determine the delivery fee. I also do land clearing and fence line clearing. I operate a smaller bobcat and a track loader for only 85 dollars per hour. You'll be happy once the job is finished and the disposal fee is on the house if it's able to be hauled off in 2 trips.